Taking care of a new puppy can be intimidating. Puppies are like babies that you want to protect fully but sheltering a pup for their own safety can lead to dealing with an aggressive dog later on. There is a window from 8-16 weeks-old when they form their behaviors around what they deem as acceptable and normal. At the 16-week mark, their behaviors start to lock in, making it hard to correct them afterwards. Socializing your puppy during this time frame is one of the best things you can do for it. 1) Your pup will be accustomed to people! Introducing the new member of your family to different kinds of people is important because there is a huge variance of height, size, age and ethnicities in the world. Exposing your pup to only one kind of person when they’re young will close them off to the others. This can cause them to be scared or act aggressively toward what they’re not accustomed to. If you’re still working on getting your pup vaccinated, bringing people to the house is a great way to introduce them to others. If they start acting up or show signs of stress from being overwhelmed, you can have the people leave to help calm your pup. Introducing the puppy out of home is a little trickier. You never know how certain people will act, so make sure to keep an eye on your puppy’s interactions with people, as well as their body language to avoid stressing them out too much. 2) Exposure to other animals is very important! 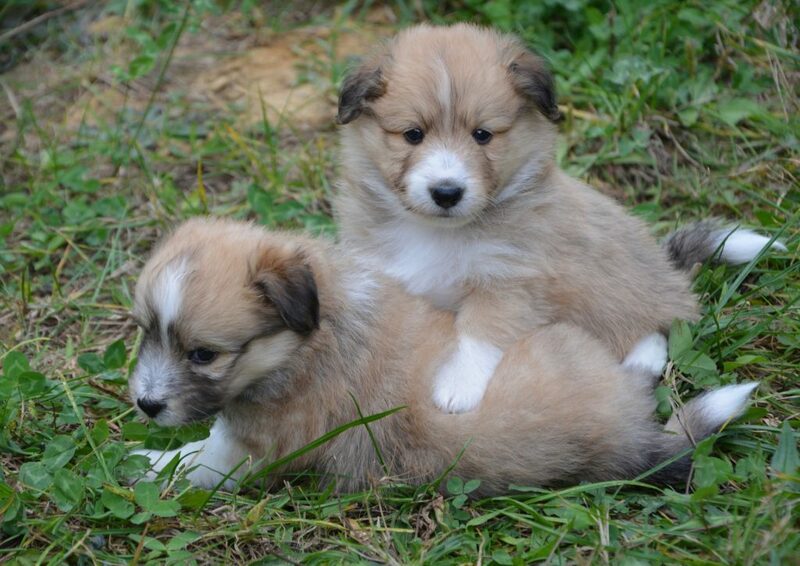 In order to play nice with other animals, puppies need practice! Bringing dogs into your home is the perfect time to socialize them. They are in the comfort of their own home and if your puppy tries to play a little too rough, the other dog can go home. Your puppy won’t know any better and will most likely be all over the dog, so make sure the animal you’re bringing to socialize is not aggressive, is well-behaved, and vaccinated. Another great way to socialize your pup is by bringing them to Puppy Kindergarten. Some places will provide a free-for-all play setting, however this can lead to aggressive play and bullying late on. A controlled environment for the pups to play in is the most beneficial for your little one. Lastly, dog parks are a big no for puppies. 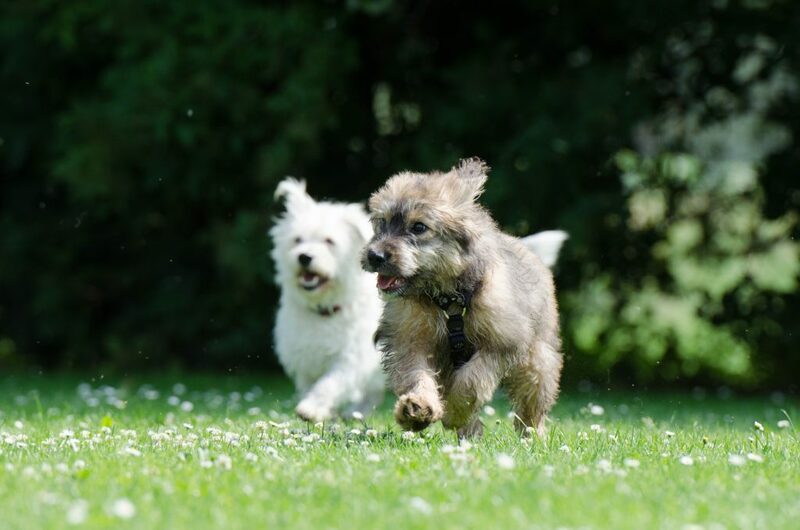 Dog parks attract under-socialized dogs and you never know if other dogs have been properly vaccinated, so those should only be part of your puppy’s life once they’ve learned acceptable behavior and are up to date on their vaccines. 3) They will be used to different environments! There are many sights and sounds for your puppy to indulge in! Preparing your pup for the variety of environments they’ll be encountering their entire lives is important for their comfort, stress-levels and happiness. You can start by taking them on car rides! At first, they may seem nervous, but over time they’ll feel more comfortable. The same goes for parks and other outdoor areas. If you’re puppy isn’t fully vaccinated, there is the option of bringing a large blanket outdoors and allowing them to experience it safely from the blanket. If you live in a city, or plan to visit one, make sure they have enough exposure with buildings and sidewalks. This can be done by taking them around in a carrier, and once they’re fully vaccinated, going for walks in similar areas. Other places you should acclimate your pup to includes the vet office, groomers and pet stores. 4) Your pup will have no trouble being handled! Making sure your pup is comfortable with different areas is one thing, but you can’t forget that they’ll be handled in many different ways by different people. Your puppy will need to get its nails clip, possibly bathed or trimmed, checked out by their veterinarian, handled by pet sitters or dog walkers, and more. That doesn’t include the fact that people love to pick up dogs, especially smaller ones. Your little one needs to be ready for all of that. Practicing the handling during their peak window of learning will reduce the chances of them snapping on someone because they’re afraid or uncomfortable. The more you treat your puppy as if they’re at the groomers, vets, and elsewhere, the more they’ll be used to the sensations they’ll experience throughout their life-time. This will lead to a decrease of stress and anxiety from your pup, and an increased peacefulness. Socializing your puppy within their window of opportunity will lead to a well-behaved dog. It will also increase your pup’s happiness, while steering them away from overwhelming stress or aggression as a teen or adult dog. They’ll be able to meet all kinds of people and animals, and go to many different places without you having to worry about their behavior or stress levels. Give your pup an opportunity to live its best life by socializing them properly earlier on! To ensure your puppy is on the right track to being a good dog, check out the Puppy Exposure Checklist for more advice on what to expose your pup to.